Along with an apparent redesign of 15 Hudson Yards, new details are out for 50 Hudson Yards, where SOM San Francisco is now attached. 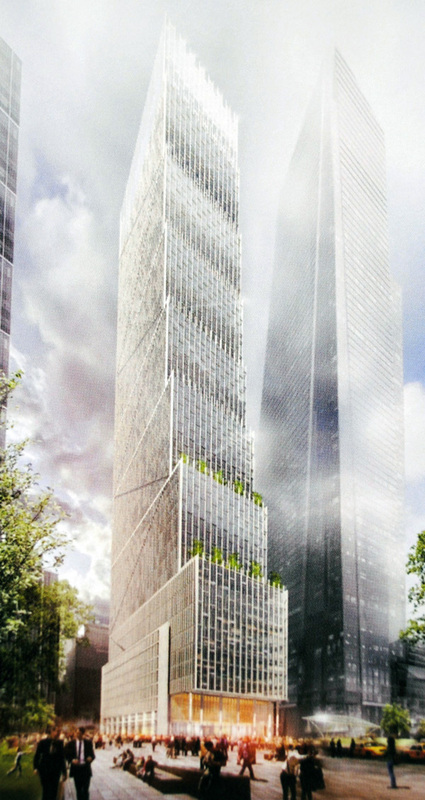 The actual design continues to change, and is far from set in stone, but the latest images show refinements to what was previously modeled, perhaps indicating that the supertall’s overall form is coming closer to being finalized. 50 Hudson Yards will stand 1,068 feet tall, but will hold only 48 floors; ceiling heights will be unprecedented amongst office developments in New York City, and the wide-open floor-plates should also prove appealing, with the tower totaling 2.3 million square feet. Besides interiors that will verge on incomparable, the building’s form is quite basic, with staggered setbacks defining a stacked set of rectangular boxes. Green space will be interspersed on terrace levels, and the base will front the future Hudson Boulevard, which will serve as the pedestrian spine of Midtown’s newest high-rise node. 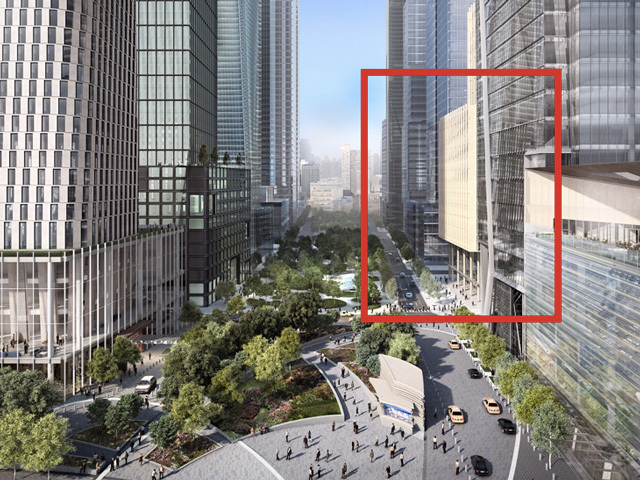 Office prospects on the Far West Side have been slow to pick up, but with Time Warner set to anchor 30 Hudson Yards, momentum is now building. Once the first few towers open, the neighborhood’s entire feel will change, and with all the new amenities, additional buildings — like 50 Hudson Yards — should quickly catalyze the rest of the district. Nearby, financing has been secured for 3 Hudson Boulevard, which will also be predominantly office. As more companies jump on the bandwagon, the overall pace of activity appears to be picking up, and the opening of the High Line’s third phase later this year won’t hurt, either. 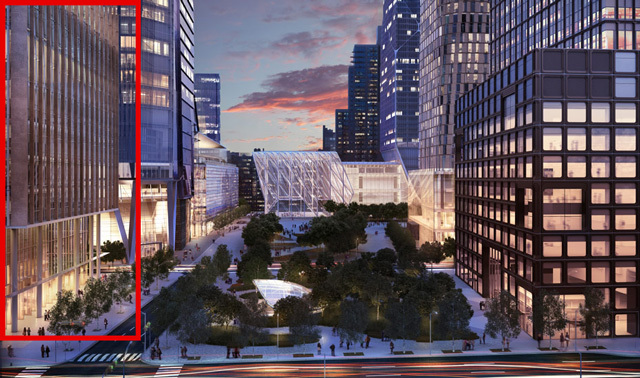 50 Hudson Yards has a tentative completion date of 2019, pending financing and demolition of structures currently on-site, including a McDonald’s and the soon-to-be former Coach headquarters.